Membership at the Nuclear Institute isn’t just a subscription – it’s a personal commitment to uphold the highest values of professionalism in the industry. That means that your company’s high standards are supported each time one of your team joins the Institute. Staff who feel valued don’t just stick around longer - they work harder, too. Investing in the ongoing professional development of your team means your people are both better informed and motivated and less likely to move on. Through the Nuclear Institute, each of your team has the opportunity to progress to a professional membership, an independently peer-assessed standard verifying the member’s nuclear professionalism. The Institute’s volunteering options mean your team will have opportunities to submit articles for the bi-monthly Nuclear Future, chair committees, and attend national and international events. Representing your company, your team will engage with wider nuclear community in a dynamic and supportive environment – raising your profile at a corporate level. Nuclear Institute events are tailored to industry-specific trends and are organised at both a branch and central level. This means your team are kept constantly up-do-date with industry best-practice from top professionals in their field. A dedicated key account manager will work with you to make sure we are offering you the best service. That’s not just an opportunity for you to give us feedback on things we could do better, but it also means we can let you know about upcoming events and services relevant to your business. Lunch & Learn Sessions for employees – 1.5 to 2 hour sessions introducing the Nuclear Institute, Membership and progression opportunities. Do you have a great idea for an event? Let us know! Our regular check-up also means we get to hear about the needs you see in the nuclear sector, so we can better target our offering based on observations from the coalface of the industry. 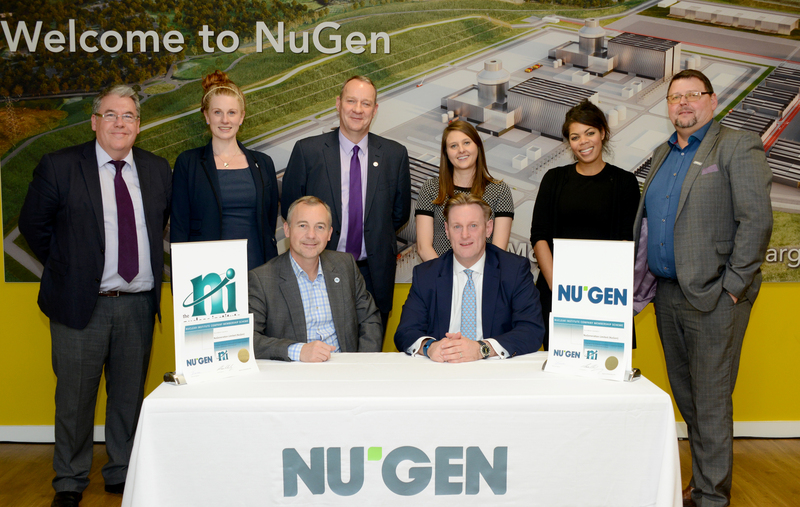 Partnering with the Nuclear Institute to establish your Company Membership Scheme sends a strong message to your staff and stakeholders that you value and invest in the professionalism of your team. Engaging with the Institute and our member and volunteer networks helps to establish stronger links between your organisation, its team, and the thriving UK nuclear community. The Nuclear Institute isn’t just about strengthening your business – we’re about strengthening the entire nuclear industry. Our charitable objectives include advancing the education of nuclear energy, science, engineering, and technology, and increasing the public understanding of nuclear sciences and the impact on society and the environment. By joining with us through the company membership scheme, you’re becoming a more integral part of a long and proud legacy of nuclear professionalism in the UK. Click on icons below to view case studies of companies that are part of the Nuclear Institute Company Membership Scheme.